The excitement is building up for the arrival of our little one. There’s less than 6 weeks to go and the baby is kicking more than ever as a constant reminder of his existence. 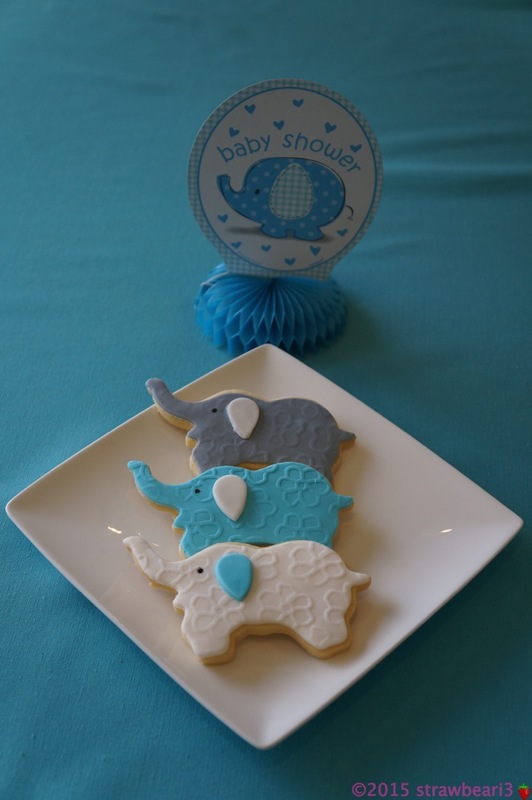 There is no better way to celebrate this time than to have a baby shower. 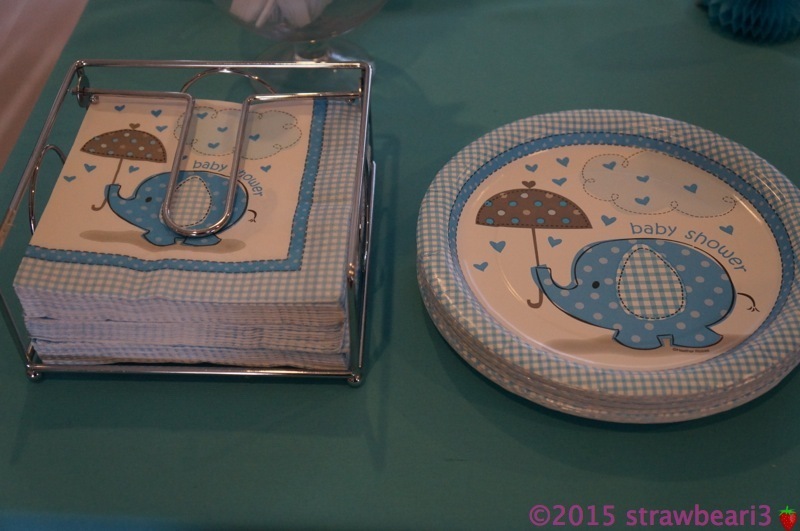 Last month, we had an Elephant Themed Baby Shower. Not only are baby elephants cute, but they also symbolises strength and wisdom. I found some pretty elephant cutlery and decorations from our local discount store which was perfect for the occasion. 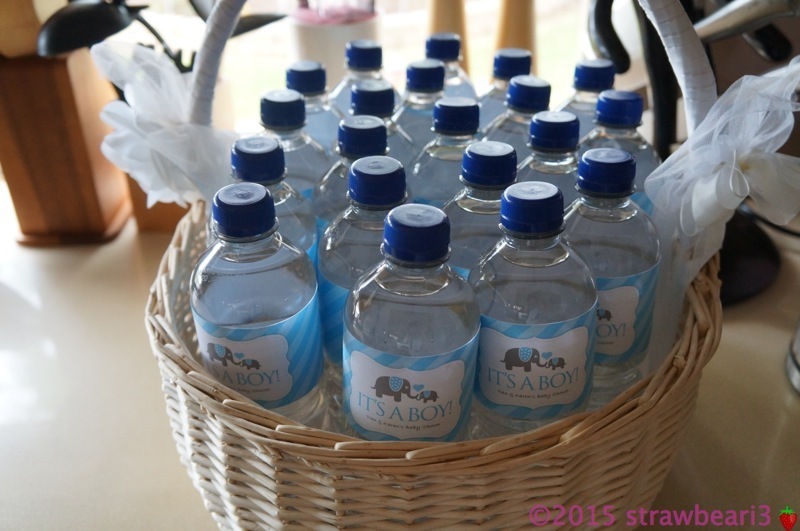 Since I have gestational diabetes and am not allowed any soft drinks, I bought a couple dozen bottles of mineral water and added our own customised elephant labels. For bonbonniere, I made elephant fondant cookies. I used the tried and tested recipe from one of my previous posts. 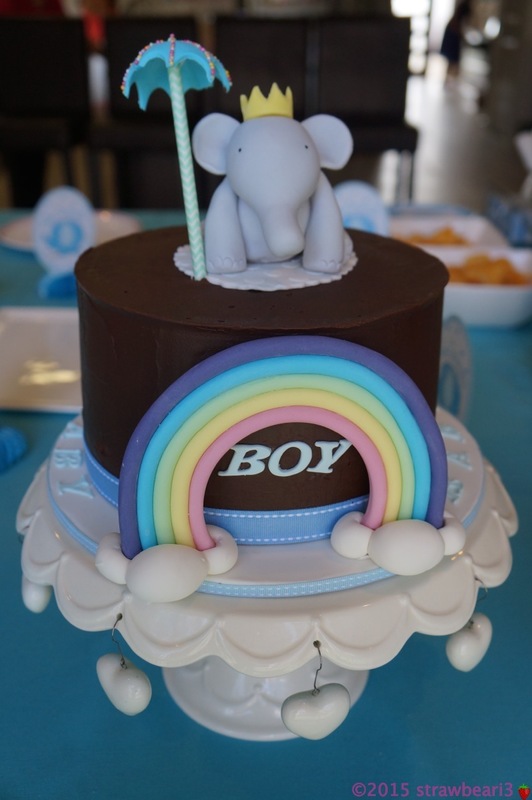 To top it off, my cake buddy Ingrid blessed us with a chocolate ganache cake with Prince Elephant and Rainbow. How cute is that!